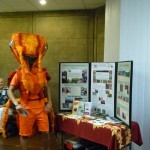 Raising awareness about invasive species in Hawaii is the primary purpose of the outreach working group. The focus of this group is to encourage citizens, law makers, and businesses to make responsible and informed decisions to protect Hawaii. Goal 1: There is statewide coordination of invasive species outreach. Support for invasive species work relies on strong understanding and support of the issues from the general public, decision makers, and industry. 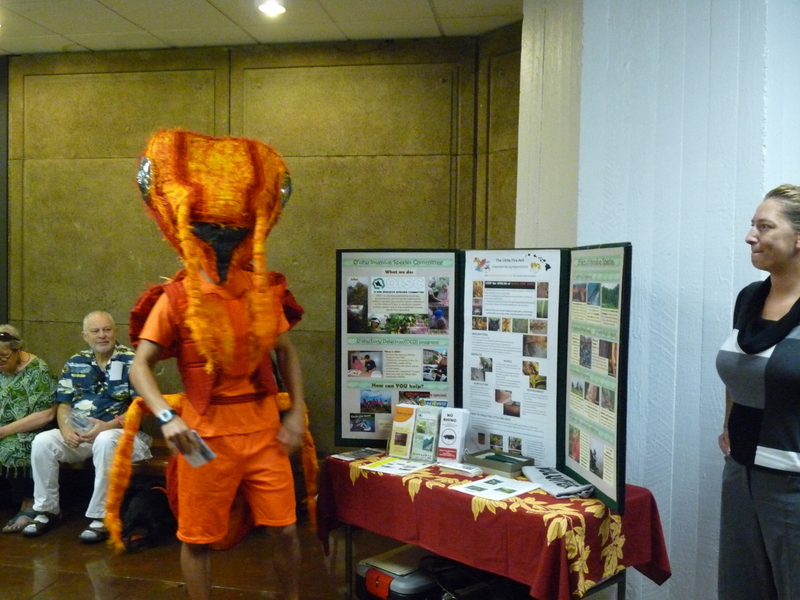 Statewide outreach campaigns should address the overarching priorities for invasive species issues in Hawaii. Statewide coordination will result in clear consistent messages that increase stakeholder awareness, support, and engagement. Work with CGAPS and contractor to develop a coordinated outreach strategy to develop outreach messages for statewide invasive species priorities. Develop and disseminate outreach media and materials. Act as centralized information hub for invasive species outreach. Goal 2: All stakeholders are informed and engaged in invasive species efforts. Identify stakeholder groups and develop personas for outreach. Develop and work on collaborative projects with other stakeholders (i.e. partner workdays, exchanges etc.). Goal 3: Outreach and collaborations on invasive species issues are culturally relevant and inclusive. It is important that invasive species work have broad support of our missions and strategies across cultures. All of our work should strive to be culturally inclusive and ensure that lands and practices are respected. Translate outreach materials into multiple languages. Engage Aha Moku and other cultural leaders. Provide in-reach to the invasive species community of practice through identification and participation of cultural events that currently exist as well as develop new opportunities (workshops, webinars, talk story). Stakeholder attitudes towards and understanding of priority invasive species issues. Participation in educational opportunities and increased understanding of local cultures. Number of materials produced in other languages. Report a pest to 643-PEST (7378). Don’t dump aquarium pets or plants. Report dead birds to 211 or www.gotdeadbird.org. Don’t sell or buy a pest. Keep pets contained (e.g. cats). Plant native species (promote the value of biodiversity).